Farmers should think about the ‘whole of life’ costs of a finance product before selecting a lender to finance farm equipment purchases, says Case IH Marketing Manager Stuart Brown. 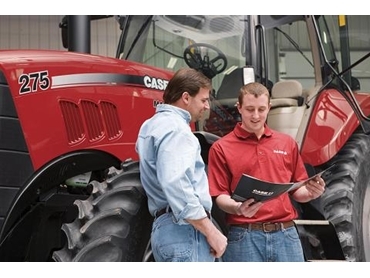 Case IH farm equipment finance also allows customers to lock in their interest rate at no additional cost if they arrange finance when ordering equipment. Stuart says farmers should consider all of their needs when buying equipment or tractors and arranging for farm equipment finance.